Photo by USATSIColt 45s is one step closer to the top spot after another successful week (two in a row). They can attribute the move to good performances in two stat categories, including moving up one spot in RBIs. 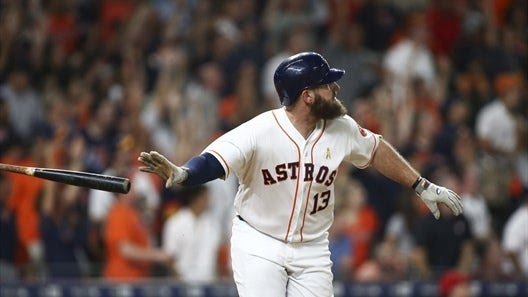 Tyler White was the key contributor, recording 10 RBIs to go along with 3 home runs and a .333 BA in 27 at bats. Those 10 RBIs were the most that any first baseman collected this week. SMOKING GUNS stood out in the home runs category, launching 16 of them. A league-high nine different players contributed in that category, with Nomar Mazara (4 HRs) leading the way. 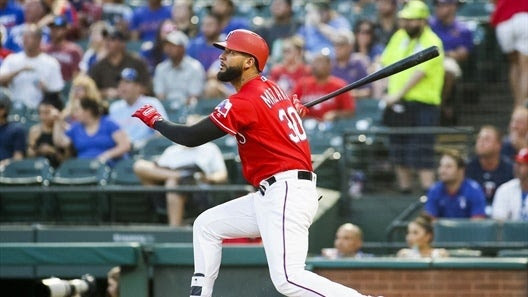 Mazara’s performance this week ended a nine game streak of failing to hit his projections. SMOKING GUNS moved up the HRs standings for the 2nd straight week, going from 10th to 9th. MASTERBLASTERS started out totally lost in the batting average category. They batted .176, which was the worst of any team during the first three days of the week. They turned things WAY around however, hitting a league-leading .303 the rest of the way. The two stretches more or less canceled each other out, as MASTERBLASTERS wound up in 7th place for the week. SPACE COWBOYS put up a rare bad effort in the WHIP category this week. They suffered a bad case of WHIPlash with a sorry 1.67 WHIP. That was the worst WHIP of any team this week. Nevertheless, SPACE COWBOYS held on to their 4th place position in the WHIP rankings. SHAMS’s bad season got a whole lot worse this week. They were bringing up the rear, coming up with only 27 category points. SHAMS came in dead last this week in RBIs, home runs, and wins with 15 RBIs, 1 HR, and 0 wins. They stayed in 11th place in the overall standings.